One of the many popular feature of IBM MobileFirst SDK is the ability to capture client-side logs from mobile devices out in the wild in a central location (on the server). That means you can capture information from devices *after* you have deployed your app into production. If you are trying to track down or recreate bugs, this can be incredibly helpful. Let’s say that users on iOS 7.0, specifically on iPhone 4 models are having an issue. You can capture device logs at this level of granularity (or at a much broader scope, if you choose). 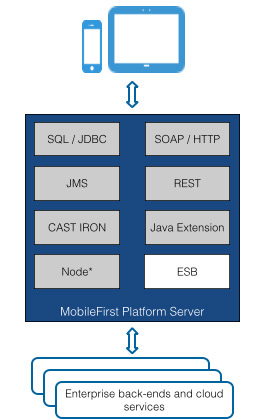 The logging classes in the MobileFirst Platform Foundation are similar in concept to Log4J. You have logging classes that you can use to write out trace, debug, info, log, warn, fatal, or error messages. You can also optionally specify a package name, which is used to identify which code module the debug statements are coming from. With the package name, you’ll be able to see if the log message is coming from a user authentication manager, a data receiver, a user interface view, or any other class based upon how you setup your loggers. Once the log file reaches the specified buffer size, it will automatically be sent to the server. On the server you can setup log profiles that determine the level of granularity of messages that are captured on the server. Let’s say you have 100,000 devices consuming your app. 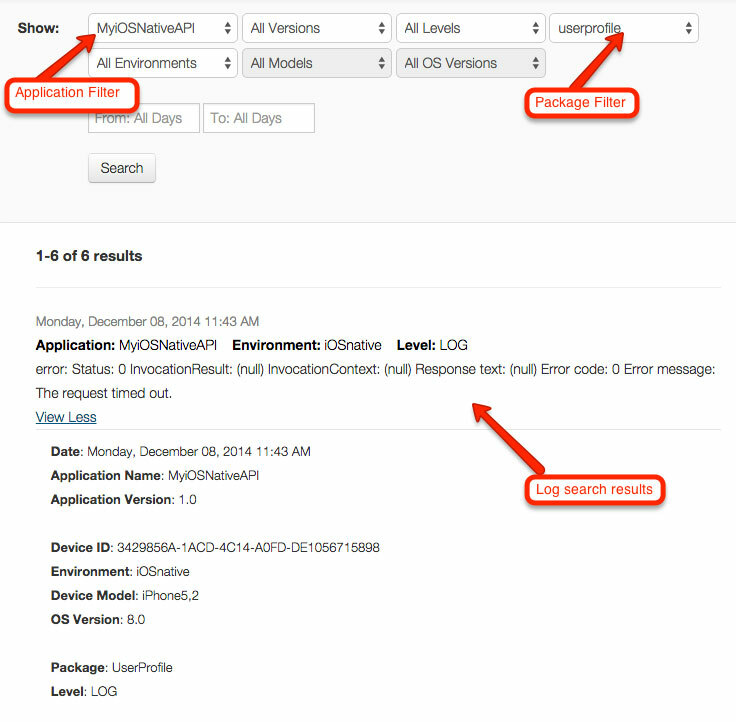 You can configure the profiles to collect error or fatal messages for every app instance. 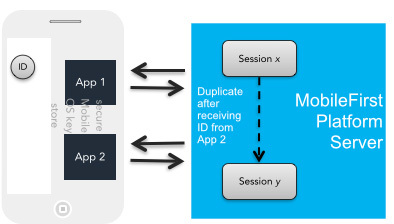 However, you probably don’t want to capture complete device logs for every app instance; You can setup the log profiles to only capture complete logs for a specific set of devices. When writing your code, you just need to create a logger instance, then write to the log. Use TRACE for method entry and exit points. Use DEBUG for method result output. Use LOG for class instantiation. Use INFO for initialization reporting. Use WARN to log deprecated usage warnings. Use ERROR for unexpected exceptions or unexpected network protocol errors. Use FATAL for unrecoverable crashes or hangs. Then on the server, you can go into the analytics dashboard and access complete logs for a device, or search through all client-side logs with the ability to filter on application name, app versions, log levels, package name, environment, device models, and OS versions within an optional date range, and with the ability to search for keywords in the log message. For a complete reference and additional detail, be sure to check out the latest docs on client side logging with the MobileFirst platform. Back in July, Apple and IBM announced a global strategic partnership to redefine how enterprises use mobile applications. Well, last week IBM and Apple announced the first set of apps developed from this partnership. The first set of applications include industry-specific applications designed to “redefine how work gets done”. The first set includes apps for air travel, banking and finance, insurance, government, retail, and telecom industries, and are just the beginning of the IBM/Apple parnership. Check out the press release for full details on the apps. So what is powering this transformation? The IBM MobileFirst Platform. That’s what. Mobile Platform and Enterprise Integration – Leveraging IBM’s global industry consulting expertise, client experience design and enterprise systems integration from analytics, workflow and cloud storage, to fleet-scale device management, security and integration. Enhanced mobile management includes a private app catalog, data and transaction security services, and productivity suite for all IBM MobileFirst for iOS solutions. In addition to on-premise software solutions, all these services will be available on Bluemix—IBM’s development platform on the IBM Cloud Marketplace. Supply, activate and manage – Streamlined end-to-end procurement, deployment and lifecycle management — at scale; along with cloud solutions for enterprise security, device management, and data and process integration. IBM Global Financing leasing options and services to allow organizations to keep pace with latest device releases. AppleCare for the Enterprise – Providing IT departments and end users with 24/7 assistance for their devices from Apple’s award-winning customer support group, with on-site service delivered by IBM. So, what does this mean from a more detailed/technical perspective? Let’s look at the MobileFirst Platform Foundation, which consists of MobileFirst Platform Server (console and app management), client-side SDKs for native or hybrid apps, the MobileFirst Studio & CLI tools, and the MobileFirst Application Center. The MobileFirst Platform Server and Client-side SDKs deliver security features, data integration features, app management features, unified push notifications, and analytics. From the security perspective, the MobileFirst server and SDK provide user authentication and can integrate with virtually any single-sign-on or identity management provider, and can maintain user authentication across multiple applications. The MobileFirst SDK also enables encrypted on-device storage, which can be synched with MobileFirst data adapters (used to expose data to the mobile applications). For application management, the MobileFirst platform enables you to track versions of an app that are live out in production. From the server console, you can send messages to specific versions of an application, or remotely lock down specific versions of an app. This could be used to force compliance using the latest version of an app, or could be used to lock down an app due to some sort of security issue. You can read more about strategies for managing app versions on the MobileFirst platform here. For data integration, the MobileFirst platform enables developers to leverage data adapters, which are lightweight server-side functions to data in a mobile-friendly format. They can automatically generate JSON objects from database information, leverage server-side compression to reduce network latency, perform object translation to compress large structures into smaller, less verbose packages (IE: SOAP to JSON, etc…). The MobileFirst Platform server automatically exposes operational analytics for every app and data adapter managed through the platform. This provides insight into devices/platforms/OS versions that are consuming your applications, server-side collection of client-side app logs, and data adapter usage, all enabled “out of the box”. The MobileFirst Application Center is reposity of mobile applications that enables an “out of the box” app store for your enterprise. If facilitates the sharing of mobile applications, and enables sharing of feedback and rating information. It also uses access control lists to limit who might be able to install specific applications. If your enterprise has numerous mobile apps, and you need a way to manage distribution of your enterprise-signed iOS apps, then this is the solution for you. MobileFirst Protect is a comprehensive suite of tools that enables an enterprise to manage, virtualize and optimize devices, networks, and apps. This includes Mobile Application Management (MAM), Mobile Device Management (MDM), and Mobile Network Performance Management (MNPM). Take a look at the quick video to see how MobileFirst Protect can help you secure the devices connecting to your enterprise. 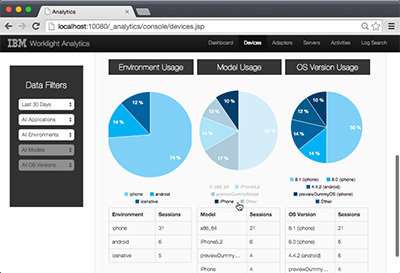 MobileFirst Engage is a platform that enables you to add analytics to your mobile applications. This can help you identify and understand how users are interacting with your enterprise. You can track mobile engagement, process the data, and provide a contextually relevant experience to your users in realtime. 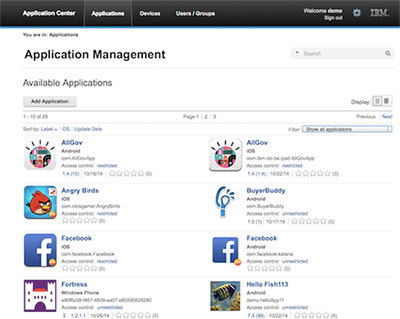 The IBM MobileFirst Platform provides unparalleled tools to build, manage and monitor reliable and secure applications, manage and secure devices, monitor usage and drive engagement, and bring your enterprise to a mobile reality. Of course, let’s not forget IBM Bluemix, IBM’s suite of cloud services. Bluemix covers everything from mobile app integration, business process & workflow, security services, cloud storage, analytics, and even the IBM Watson cognitive platform. This post is long enough already, so I’ll go into more detail on Bluemix at a later date, but definitely go check it out. There’s everything from basic node.js or Java server hosting, to app boilerplates/templates, and more.